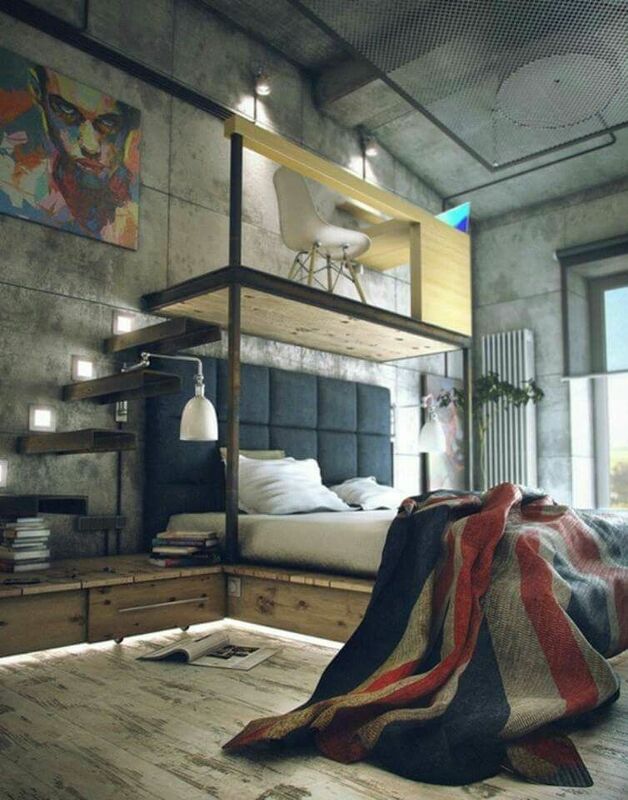 How to Get the New York Loft Style for the Bedroom | Ashgate Furniture Co. Even if it doesn’t fit into your interior, you know you love the industrial style that’s often shown in the perfect, dreamy New York Loft apartment in literally any chick-flick or Marvel film. And if this is your style, luckily you don’t have to actually own a loft, or live in new York. In this article we’re showing just some special tips that will loft-ify any room of the house, but we’re focusing on the bedroom. Read on to get some great industrial style ideas for a modern and millennial look for the house. Pretty much every look with this theme mixes genres. Using a ‘thrifty’ style is the best way to get the New York Look, which is why mixing eras, genres and materials works wonders to reach the ultimate goal of quirky and contemporary. Go bare, or fake it till you make it. Bare floors are not only cool, chic and totally on trend, they’re also easy to maintain and look great even if they’re a little tatty. As for the walls? Possibly every store selling wallpaper these days has you covered: If you don’t have exposed brick in your house, fake it – there’s so many realistic wall murals and wallpapers now that having a red brick look isn’t difficult anymore. We’re pretty sure if you’re after for the loft apartment look, you’re going to have to get used to sleeping only when it’s dark – because have you ever seen a film with a new York city apartment with black out blinds? We haven’t! One of the main features of this aesthetic has got to be huge bursts of natural light and ginormous windows, so keeping window treatments simple prevents this main feature being hidden. Long drapes, light voiles or wood blinds will work perfectly. Patterns are generally a no go. As we mentioned before, light and airy is the way to go for this aesthetic, so there’s no room for clunky storage solutions. This style tends to be popular for studio apartments or open space living, so to really get the look, using open or low level storage keeps the space looking big and open. Using low height bookshelves helps to divide the space into areas, while not taking away any natural light within the room. Just like pretty much every style at the moment, there’s always room for nature .Whether is faux cacti or bold giant foliage, there’s nothing quite like house plants, is there? We’re in love with this urban / garden room look and thing everything comes together to create a really fresh and inspiring look. What better to go on those newly exposed brick walls than a little framed artwork? This is where the choice is really vast. Whether you add huge prints, film posters or miniature frame galleries, there’s really no right and wrong. Using artwork will really bring out the brick wall feature and prevent the room feeling too empty. And that’s how you create the perfect New York Loft style. We’ve shown you our tips, now show us yours! How do you create your favourite aesthetic in your home?